Raccoon, flapdoodle, higgeldy-piggeldy, gerrymander, go the whole hog—American language invention started with the earliest English colonists and is still going strong today. 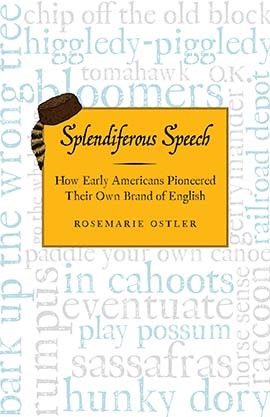 Splendiferous Speech explores the main sources of early American words and phrases, including the expanding western frontier, the bumptious world of politics, and the sensation-filled pages of popular nineteenth-century newspapers. Come along on the journey as Americans declare linguistic independence and learn to embrace their own distinctive brand of speech.